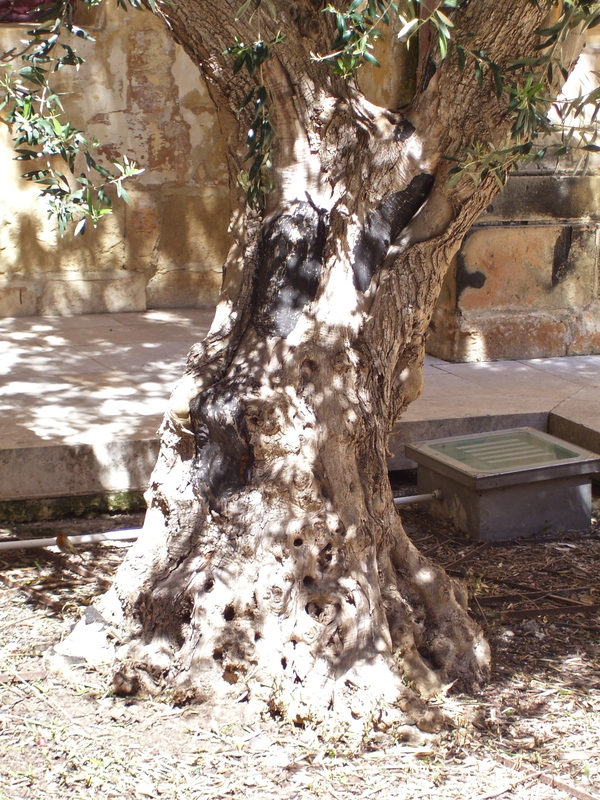 or the tree that has given food, wood, oil and shade to the people of the Mediterranean since time immemorial, the olive? I know, let’s choose them all. Ah, I feel warmer already. You might also enjoy: Too many trees. 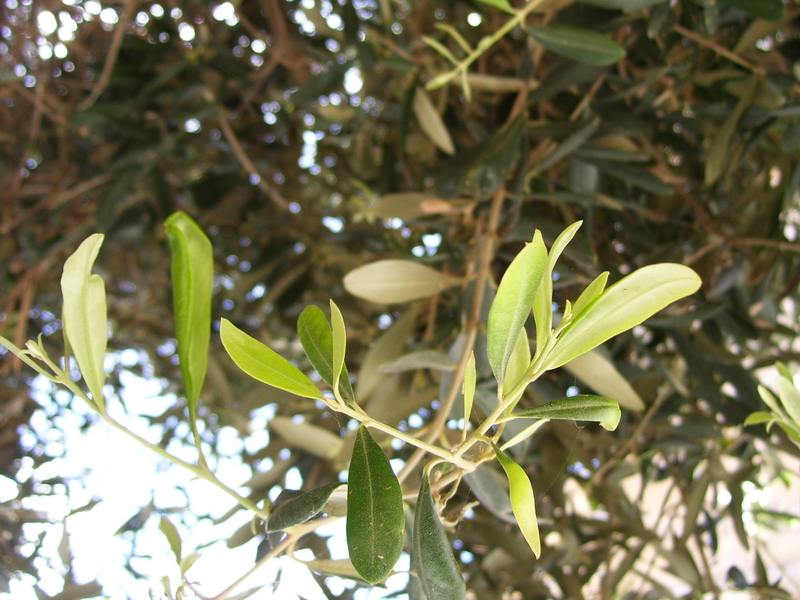 I am heading to the Mediterranean in June and my travelling companion really wants to tour an olive grove. I was looking forward to the palm trees. But now I think those twisted, wind swept varieties would be the most interesting. Ooh, are we allowed to know where you’re going? 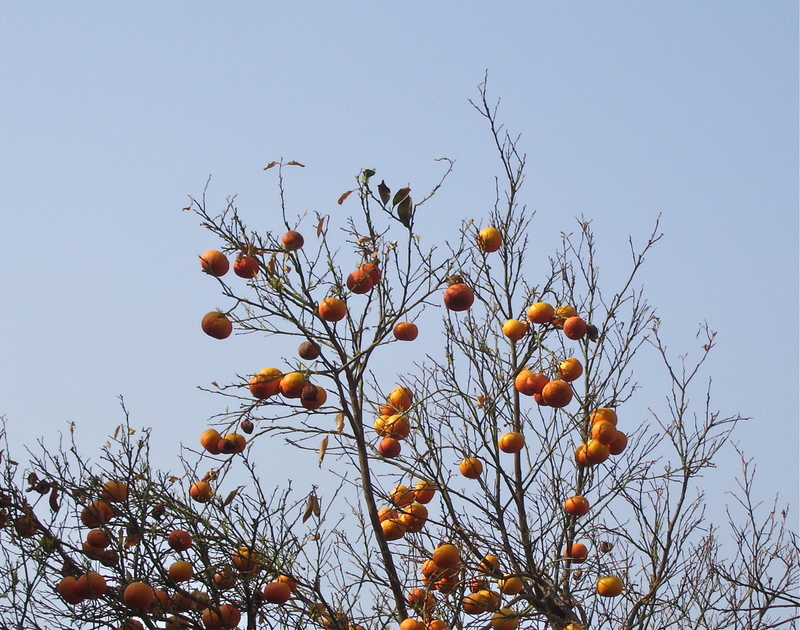 I hope that you both find all the trees you could wish for – and some sunshine! Genoa, Barcelona, Cannes and Palma de Mallorca. I have never been on a cruise before and am actually quite excited about that part. almost as much as seeing Barcelona! Ah, what a welcome respite from my cold-ish, gray home! 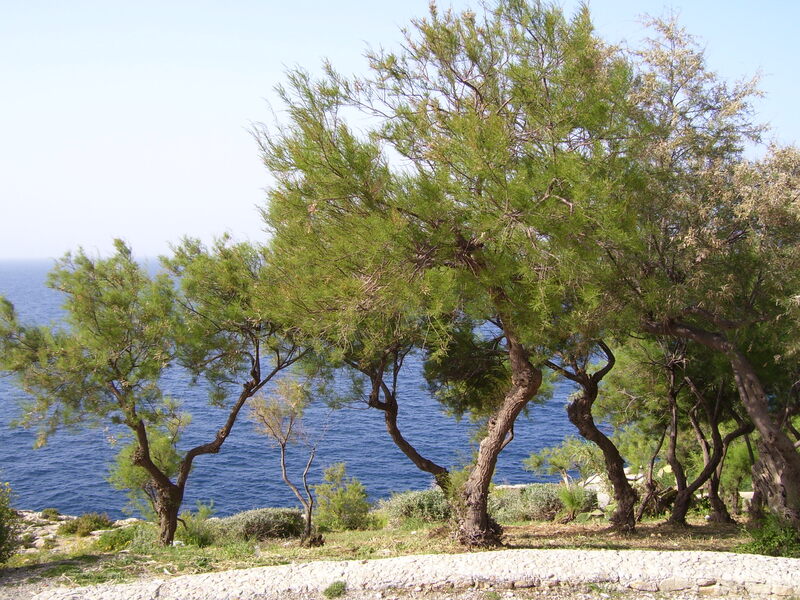 I especially loved the photo of the “quintessentially Mediterranean twisted pines and dark cypresses” — and your description of them is so much more poetic than Steve’s and mine (“creepy Italian trees”). Lovely, DB. Thank you, Heather. Do you know, that’s my favourite too?! 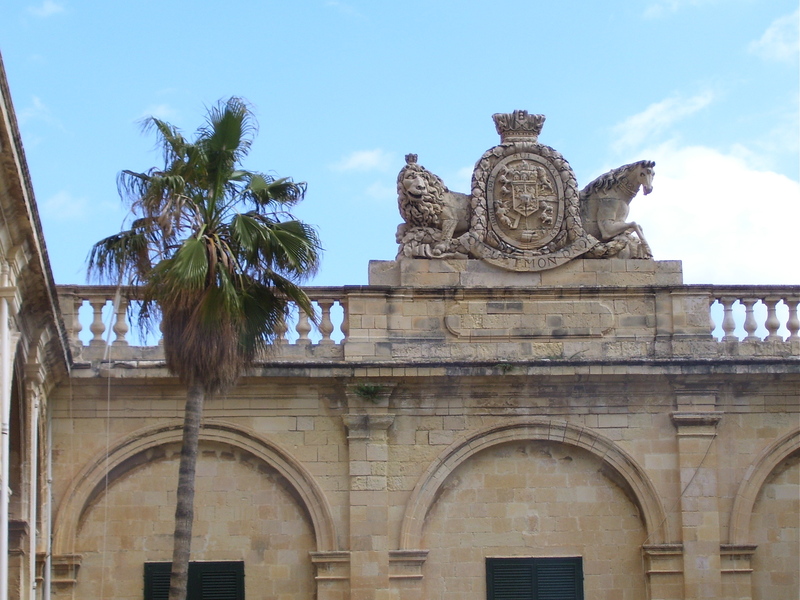 I think because – apart from the beautiful Maltese stone walls – it reminds me so strongly of Italy, where I spent two summers working in my early twenties. You’re right, these trees are ‘creepy’, they are so dark and funereal looking against the bright landscape. But I just love the way they give form and punctuation to the brightness. I adore Laburnum. The one in my childhood home’s garden always flowered on my parents wedding anniversary. 🙂 Thanks for sharing your photos as usual. Whoops, what must you think of me – my brain is away with the fairies there. 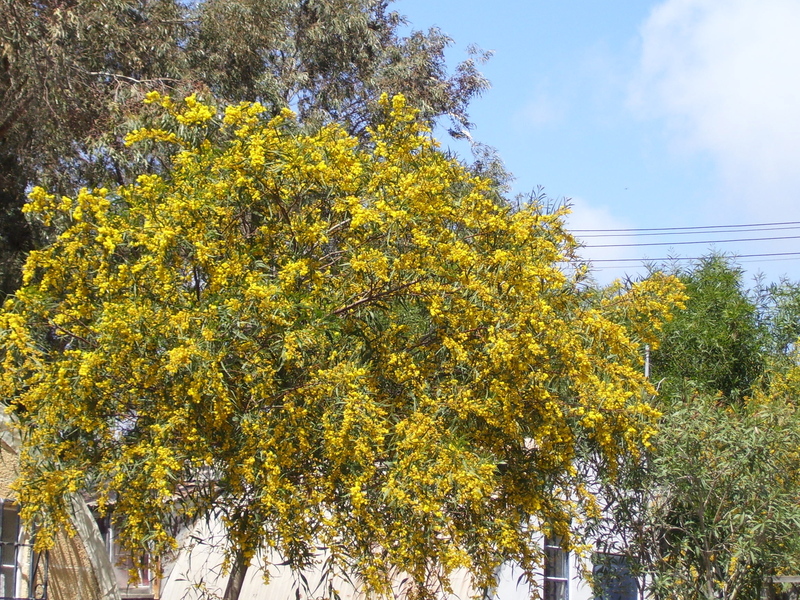 i saw the mimosa and thought Laburnum… sorry. Sentiment’s the same, though. That’s fine, Val! 🙂 I see exactly what you mean, mimosa are just the same sort of yellow as laburnum and flower just as generously. As a mum of young children I am wary of laburnum since it is so poisonous, but on the other hand it is so sunny and cheering. In our part of the world you often see laburnum underplanted with orange azaleas or pink rhodies: a great shout of colour to celebrate the beginning of summer. Thanks DB. One of the things I would love to experience some time is one of those Laburnum walks – but I haven’t yet. I’ve a card my husband gave me with one that is underplanted with alliums. Apropos Laburnum and children – my dad was alway warning me not to eat them (and I was wary of touching them too, but I did) and I learnt that well from quite a young age. We had a mimosa in London that was supposed to be a dwarf shrub but it grew to over 12′ tall! They are thirsty plants – like Willow – so shouldn’t be planted where there are drains or water pipes. Ah, I’ll just sit here in the courtyard enjoying the palm tree rattling sounds while I sit on the worn stone…..then maybe wander over to that discotheque inhabited by the twisted pines. Once again a lovely tour! Just what I needed today. Warm trees! It has also turned cold here…… again! 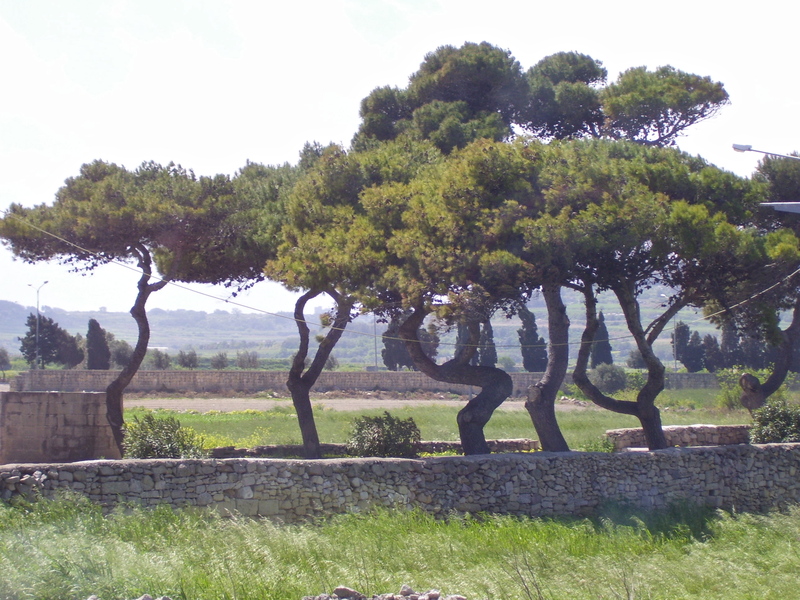 Olive trees are exceptional, aren’t they. They deserve a special place – along with dogs and horses, for a start – in the history of mankind’s interaction with the rest of nature. I was in Malta a few months before Independance. We sailed in (husband /engineer/Merchant Navy/oil tanker) after limping across the sea from Singapore following a collision which left us with a badly damaged bow. We were there about 10 days, as I remember, for ‘repairs’. It was wonderful. We loved the island ,the people and the way of life.We explored the grottoes and the caves which were used as a hospital during the war.I ate my first lobster (lobster thermidor) in a beautiful restaurant. We swam, hired a car and toured. We met many people and learned much of their present lives and history. I have never forgotten it. By the way, in Italy, men give women a sprig of mimosa on International Women’s Day. How fascinating to read your memories of Malta in the sixties. Thank you so much for sharing them! I was really hoping to hear from someone who’d been there and am so glad to hear from you. The added drama of getting there from Singapore in a damaged ship only enhances your tale, although it must have been pretty nail-biting for you at the time! My parents would have been living in Singapore when you embarked from there. Thanks for the added information about the Italian tradition on Women’s Day – I didn’t know that. I think it’s a lovely gesture. and courageous; that they survived the war, heaven knows how, and retained their welcome and generosity of spirit to visitors. Yes it’s lovely in Italy on that day. Whether you go in a bookshop or for groceries you are given some mimosa and as friends and relatives give also, you end up with a fair sized bunch if you are lucky.